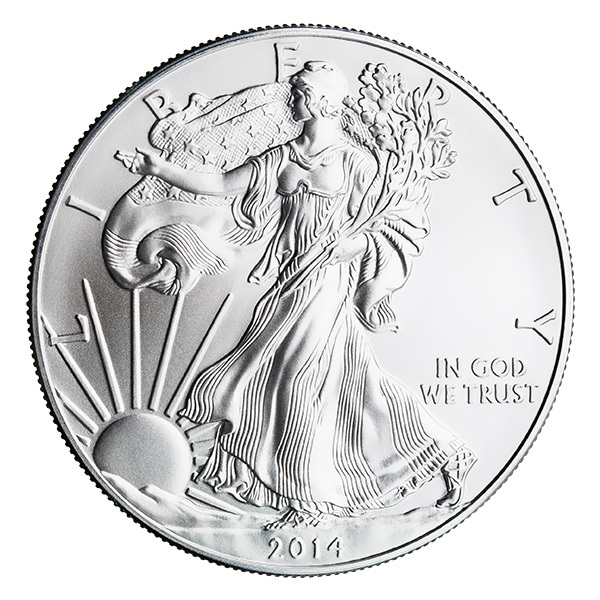 The American Silver Eagle is the official silver bullion coin of the United States of America. It was first released by the United States Mint in 1986 following the passing of the Liberty Coin Act of 1985. The coin is struck only in the one-troy ounce size, which has a face value of $1 and is guaranteed to contain one troy ounce of 99.9% pure silver. Its content, weight, and purity are certified by the United States Mint and the value is backed by the United States Government. In addition to the bullion version, the United States Mint has produced a proof version and an uncirculated version for coin collectors. This can be a bit confusing since the bullion version is also technically "Uncirculated" or "Never been circulated" condition. The chief distinction is the bullion coins are not offered by the US Mint, only authorized distributors. The US Mint issued uncirculated coins have a mint mark depicting where they are created and the bullion versions have no mint mark. Silver Eagles have been produced at three mints: the Philadelphia Mint, the San Francisco Mint, and the West Point Mint. Unlike the Chinese Silver Panda which changes it's design each year, the Silver Eagle Coins maintain the same design on both the obverse (front) and the reverse with the exception of the date of the coin. The front of the coin features the walking Lady Liberty design taken from the enormously popular Wlking Liberty half dollar series from 1916-1947. Lady Liberty is depicted gracefully walking across a sunlit horizon. The reverse features the US Eagle and Shield emblem with 13 stars. The words "1 oz fine silver ~ one dollar" are featured on the bottom of the coin along with "United States of America" across the top of the reverse. Each year the date is updated on the front of the coin.